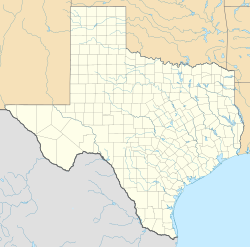 The Grand Prairie Armed Forces Reserve Complex (formerly Naval Air Station Dallas or Hensley Field) is a former United States Navy Naval Air Station located on Mountain Creek Lake in southwest Dallas. The installation was originally established as an Army Aviation center, and eventually became home to aviation assets from all the military services. The facility was decommissioned as a naval air station in December 1998 pursuant to BRAC action and the extant Naval Air Reserve, Marine Air Reserve and Texas Air National Guard flying units (wings, groups, squadrons) relocating to the nearby former Carswell AFB, which was concurrently transferred to U.S. Navy custody via the Base Realignment and Closure Commission action and renamed Naval Air Station Joint Reserve Base Fort Worth / Carswell Field. The former NAS Dallas was later recommissioned as it is today as the Grand Prairie Armed Forces Reserve Complex, with the half that housed the aircraft-related facilities (such as the runway, hangars, etc.) going to the Texas Air National Guard, and the half with the bulk of non-aircraft related facilities going to the U.S. Army Reserve and a small area to the U.S. Marine Corps Reserve. Vought Aircraft Industries operates a government-owned, contractor-operated (GOCO) plant adjacent to the former NAS Dallas, now Grand Prairie AFRC. The City of Dallas established Hensley Field in August 1929 as a training field for Reserve pilots of the then-U.S. Army Air Corps. The facility was named for Major William N. Hensley, a flying instructor located near Dallas in the 1920s and one of the few on board the first trans-Atlantic dirigible crossing in 1919. The city leased the site to the United States Army for a dollar a year. The field became the Air Corps Reserve Base in the Eighth Corps Area. At the beginning of World War II, the Army extended their lease to 40 years. In March 1941, the U.S. Navy began maintaining operations at the base and shortly afterward established a Naval Air Reserve Base on 160 acres (0.7 km2) adjacent to Hensley Field. In December 1941, Hensley Field became headquarters of the Midwest Area of the Air Corps Ferrying Command, after Major Thomas D. Ferguson, commander of the field, was made control officer for the Middle West Area of the United States. The installation became Naval Air Station Dallas on 1 January 1943. Its initial mission was to provide primary flight training for Naval Aviation Cadets destined for commissioned service as Naval Aviators in the Navy, Marine Corps, and Coast Guard. Enlisted personnel destined for aviation duty with the Fleet were also trained at NAS Dallas, and at one time a number of Free French aviators received flight training at the installation. During World War II, the base also served as a radial engine repair station, with thousands of engines overhauled. NAS Dallas also handled all air traffic for the adjacent North American Aircraft Company plant and was the flight test facility and the receiving station for 4,400 SNJ Texan training aircraft manufactured at that plant. In early 1946, Congress appropriated funds to establish a Naval Reserve training program at NAS Dallas and by March of that year the Naval Reserve had taken over the field. The Marine Air Reserve Training Command also established itself there at that time. Naval and Marine Corps Reservists from across the nation, but primarily from Texas, Oklahoma, and eastern New Mexico continued to train at NAS Dallas. Hensley Field passed from the command of the U.S. Air Force to that of the U.S. Navy on 30 September 1949, but the field continued to serve as an Air Force Reserve training center. The Air Force conducted air operations for the Air Force Reserve, the Texas Air National Guard, and for the USAF Civil Air Patrol regional liaison office. In 1950, one of the Naval Air Reserve squadrons stationed at NAS Dallas was the first Naval Air Reserve squadron to be called to active service in the Korean War. The station continued to grow with the construction of newer, longer runways and jet aircraft were assigned to NAS Dallas in 1952. In 1963, the base was the first Naval Air Reserve installation to operate the F-8 Crusader until later transitioning to the F-4 Phantom II in both of its two Naval Reserve fighter squadrons and its single Marine Reserve fighter/attack squadron in the 1970s. The mid-1980s brought to the installation some of the Navy's most sophisticated aircraft, including the F-14 Tomcat and the C-9 Skytrain II. By 1990, there were 2,057 active duty personnel on the base, with an additional 6,789 part-time Reservists and Air National Guardsmen assigned to the station. The total economic impact of the base by then was almost $76 million. By the following year, more than 1,700 soldiers, sailors, airmen and Marines had been deployed from the base to the Persian Gulf in support of Operations DESERT SHIELD and DESERT STORM. The installation was closed in 1998 as part of the 1993 Base Realignment and Closure Commission conducted by the Department of Defense, but was partially reopened in the early 21st-century as the Grand Prairie Armed Forces Reserve Complex to accommodate expanding military training requirements for the Reserve components of the United States Armed Forces. On 1 May 2016, Cedars Neighborhood Association president Michael Sitarzewski presented a proposal to Dallas mayor Mike Rawlings and Dallas City Council members to use part of the city-owned AFRC facility as an encampment for homeless people who were being evicted from a large tent city under Interstate 45 near downtown Dallas in response to persistent complaints from Cedars residents about an over-concentration of homeless in the neighborhood. The proposed encampment—to be called Camp Dignity—would include an open-air tent camping area, tiny homes, boarding houses, fruit and vegetable gardens, and on-site work opportunities to give residents the ability to transition to more permanent housing and jobs. City officials did not comment on the proposal. Wikimedia Commons has media related to Naval Air Station Dallas. ^ GlobalSecurity.org – NAS Dallas/Hensley Field. Retrieved 17 November 2006. ^ Tsiaperas, Tasha (2 May 2016). "The Scoop Blog – Old naval base near Grand Prairie may be repurposed for homeless Tent City exiles". The Dallas Morning News. Dallas, Texas. Retrieved 10 May 2016. This page was last edited on 5 December 2018, at 01:50 (UTC).